The Behmor 1600 is by far the most affordable home roaster that can roast up to a pound of coffee. 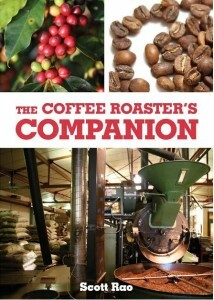 It is very easy to use and results in some great roasts. I love my Behmor and have roasted hundreds of pounds of coffee in it over almost two years and have not had any major problems with it. In fact, the only issues I’ve had with it were due to the large amounts of coffee I was roasting in it and my own lack of consistent and proper cleaning. The Behmor does have limitations of course, but all around, it is a good investment for any home roaster. Here are a few notes on the pros and cons of the Behmor. -By far, it is currently the best value in a home roaster (based on the amount that you can roast and the price of the roaster) when compared to other similar roasters. The Gene Cafe Roaster for example costs $515.00 and roasts up to about 2/3 of a pound. The Hottop costs $1200.00 and can roast only up to about 1/2 pound. 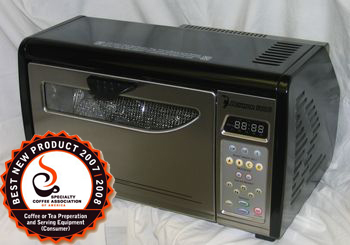 -The durability of the roaster is a definite pro for the Behmor. I have roasted more than the Behmor was meant to roast and have had no major problems with the roaster. -Here’s what happens if you are lazy about cleaning the Behmor: with time, coffee oils build up, roasting to darker roasts becomes harder and the Behmor does not give you enough control to remedy that. Roasts time out and and you are stuck with lighter roasts unless you use smaller amounts of coffee. This scenario is what happens if you don’t clean your roaster thoroughly and clean it often. You will want to have a shop vac on hand and wipe down your roaster with natural cleanser and do frequent “cleaning burns” where you run the roaster empty in order to burn off excess oils. If you follow a consistent cleaning regimen, you should not have this problem. -Another contributing factor to roasts not getting dark enough and your roaster timing out early is chaff build up on the inside of the roaster. By “inside” I mean the area housing the electronic components including the heat sensors. While I don’t understand why this occurs exactly, chaff build up around the sensors keeps it from properly measuring the temperature of the roaster and the heating elements are turned off at lower temperatures than desired. After doing a bit of research on the problem I was having, I opened the Behmor, cleaned out the inside with a can of compressed air and chaff and chaff-dust came flying out in impressive amounts. After doing this, the roaster’s performance improved instantly and improved dramatically. -Profile limitations: The Behmor has preset profiles with different heating curves. This means the roaster lacks total control. A lot can happen in 15 seconds and the manual says to forward think the roast 15 seeconds. In other words, because the Behmor takes about 15 seconds to reverse the trend from roasting to cooling, start the cooling cycle 15 seconds before you want to stop the roast. As you can guess, precision suffers. Despite these cons, the Behmor is a great value for anyone ready to graduate from the popcorn poppers to something actually designed to roast coffee. 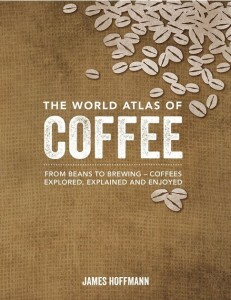 Will it teach you how the professionals roast coffee and give you total control over the roasting process? It will not. It will, however, consistently roast up to a pound of coffee and do so for a very reasonable price.